The 2009 Wave Panther takes over from the long running and successful Wave SE as our premier wave sail. Compared to the SE, the Panther has a shorter boom and is lighter weight. On the water, the Wave Panther has a smooth and direct power delivery, combined with very easy handling. The Panther’s design advantage allows operation in a wider wind range, so you can sail longer without the need to re-rig. The leech area of the Panther utilizes our new, low stretch Technora-fiber sailcloth, which delivers superior performance with less weight. The Panther’s mid and luff sections are made of our Spectra X film, for strength and great visibility throughout the body of the sail. We use higher density Spectra X film in the foot area to resist harness hook tears and nose-of-the-board punctures. 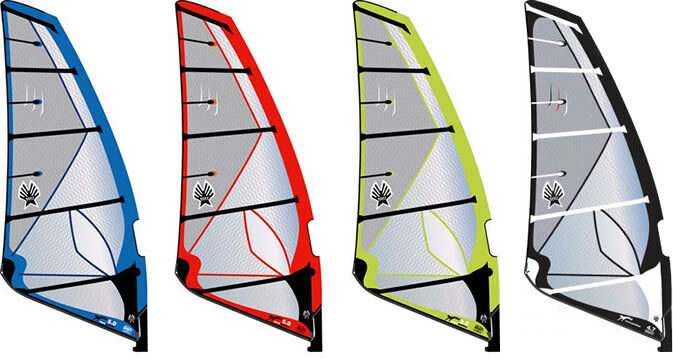 Plus, we rig every Wave Panther before it is shipped so that you are ready to go with the correct batten tension and adjustable head setting. At Ezzy, we constantly strive for the highest standards in our designs, materials, manufacturing and the Wave Panther carries on that tradition.